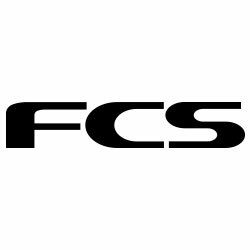 Replacing the AM3, the FCS ARC Fin has the same exact template with a new name and an updated look. 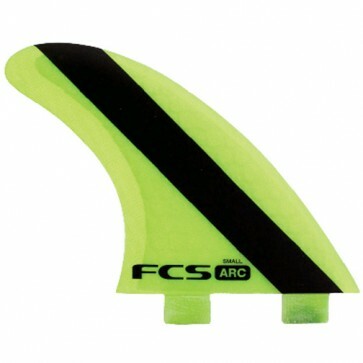 Complete with a racing stripe, this fin was designed for lighter surfers looking for a fast and lively fin. 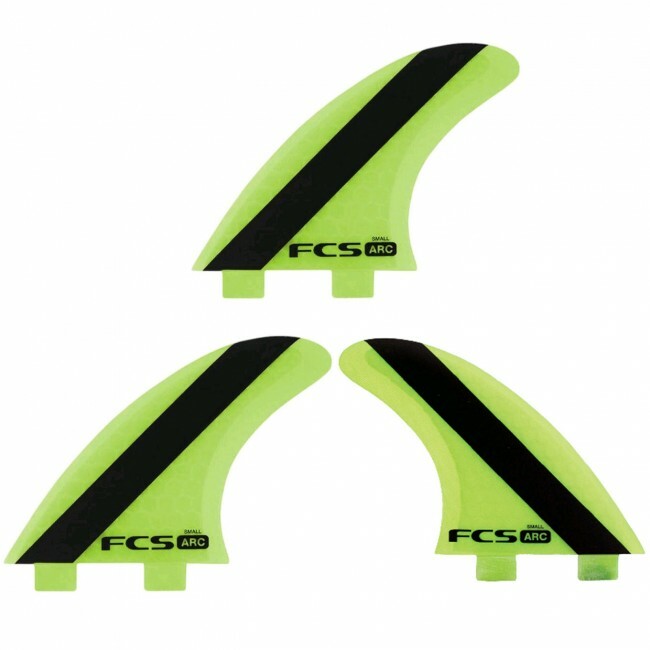 Perfect for radical, progressive surfing, the raked side fins produce exceptional drive, while the smaller center fin offers quick release through turns. For the best results use these fins in your performance board on hollow steep waves or punchy beach breaks.